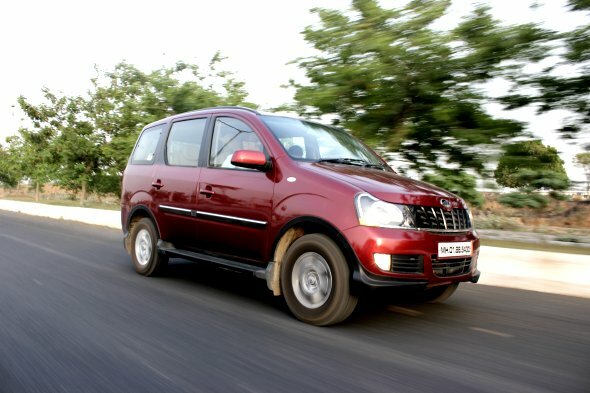 Over 1 lakh people have bought a Mahindra Xylo claims Mahindra, a feat it has achieved in four years. The Xylo holds a a 25% market share in the UV2 category (MPVs), with the Toyota Innova being the undisputed leader. “Having set new benchmarks in luxurious space and with a host of features for passenger comfort, the Xylo has been an unmitigated success since its launch. The 1 lakh plus vehicle further reaffirms Xylo’s popularity and reflects high customer satisfaction with the product,” Pravin Shah, Chief Executive, Automotive Division, Mahindra & Mahindra told a news agency. The new Xylo was launched in February 2012 with cosmetic changes such as new front grille that has blacked out vertical slats unlike the Walrus-tooth grille of the earlier model. The front bumper also got a design makeover. At the rear, the taillamp cluster got clear lens treatment. The E4 and E8 variants are powered by a 112 Bhp, 2.5-litre mEagle diesel engine while the base variants D2 and D4 are powered by a 95 Bhp, 2.5-litre mDI engine, that are intended for the commercial segment. The Xylo is priced between Rs. 7.47 lakh and Rs. 10.47 lakh.